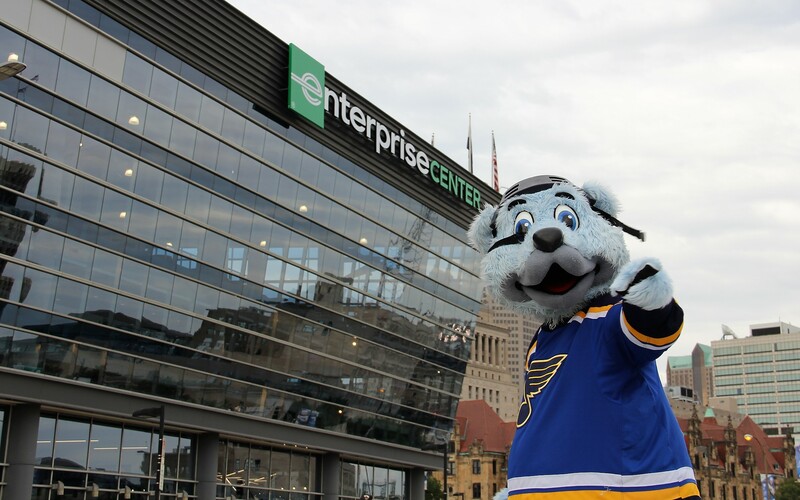 Hockey fans can park at any one of 21 free Metro Park-Ride lots in Missouri and Illinois and purchase round-trip tickets to ride MetroLink to the Civic Center Transit Center in downtown St. Louis which is conveniently located across from the Enterprise Center. Several MetroBus routes serve the transit center as well. The St. Louis Blues face off against the Winnipeg Jets at 7 p.m.
Did you know you can score free St. Louis Blues tickets just for riding Metro? Sign-up for your chance to win two free Blues tickets and two free Adventure Passes from Metro to use on game day. Multiple winners will be drawn each month. And be sure to use the hashtag #YouRideYouScore with your game day photos on social media to show everyone you’re a big fan of the Blues and Metro Transit. Ready to cheer on your St. Louis Blues? Download the Metro On The Go app, use the online TripPlanner, or contact Metro Transit Information by calling 314-231-2345 or 618-271-2345 or texting 314-207-9786, Monday through Friday from 7 a.m. to 6 p.m.